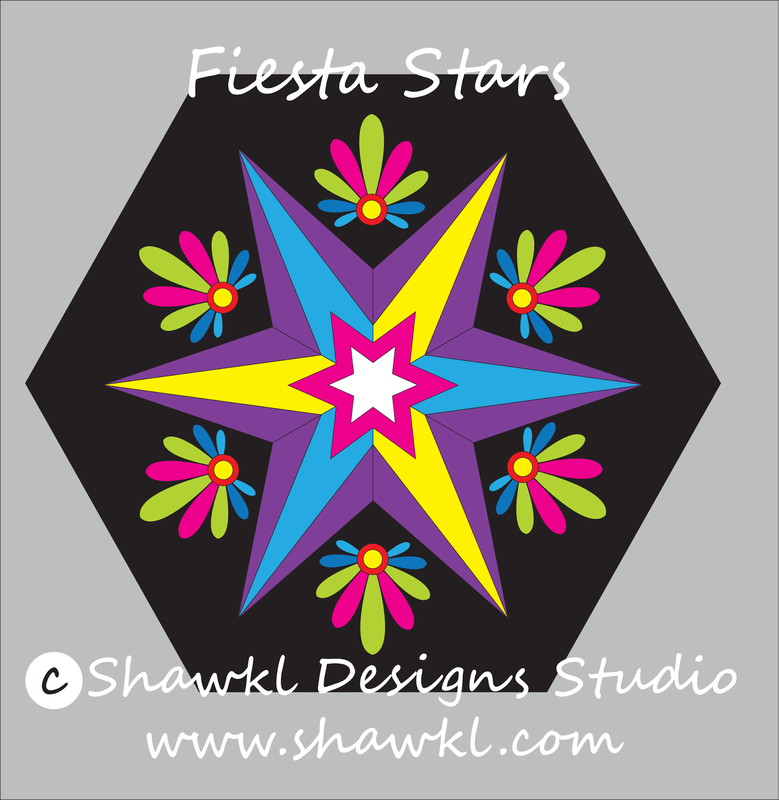 ``Shawkl``: Introducing -- Fiesta Stars! 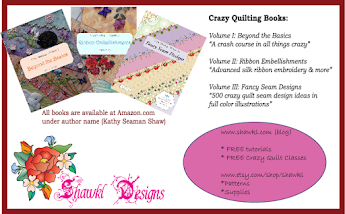 Here is my newest pattern! 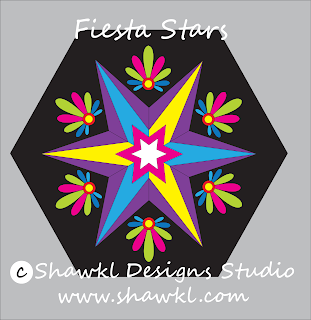 Fiesta Stars is in the Etsy shop now. 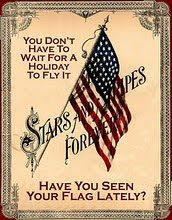 The stars are done on paper foundations..so are easy to assemble. 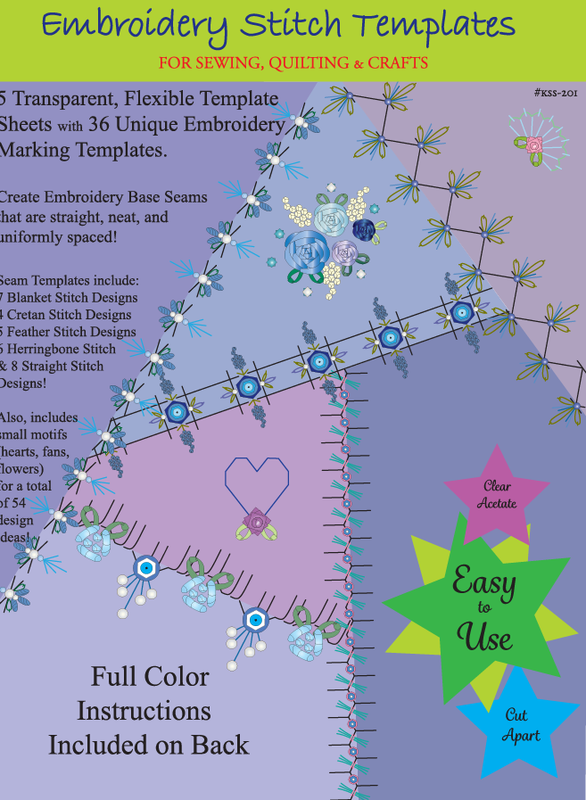 Just print the pattern pages...trim...sew on the line and combine the pieces to create a block. 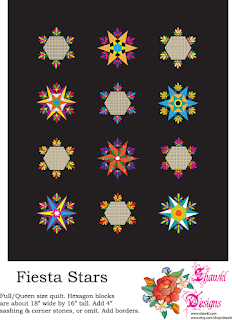 If you love paper piecing technique...you will love working on this quilt. 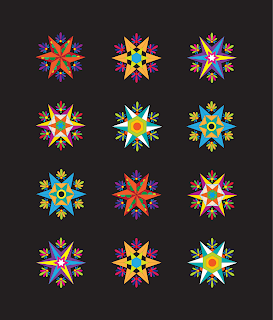 If you look closely at the pattern front...you will also see some hexagon shapes with the stars. This is for "flexibility"...and is actually a second pattern, within this first star pattern. 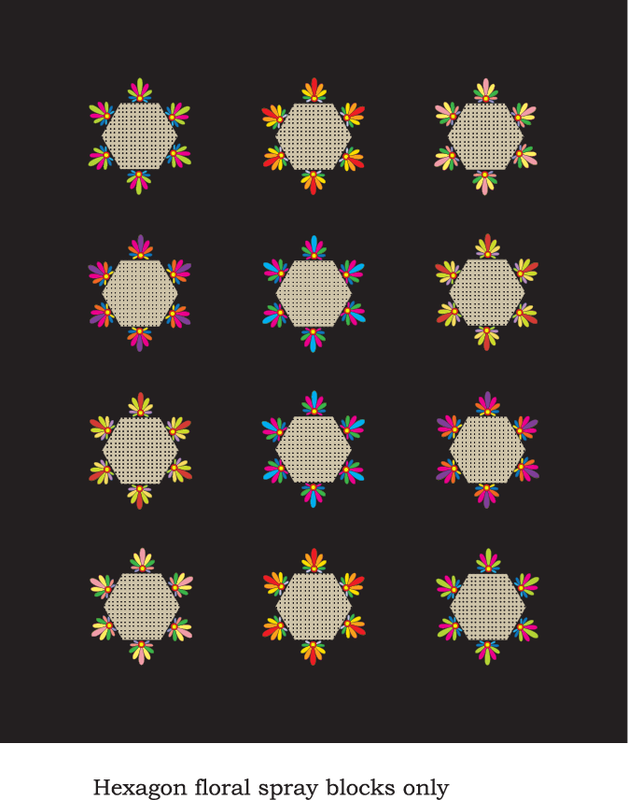 These hexagon center blocks could be mixed with the stars or done alone as in the photo above. This block is a great way to accent a favorite fabric (you know the one...it sits on the shelf because we just can't bare to cut into it!...ha, we all have at least one fabric like that). 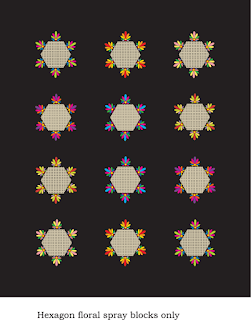 So, us it as the hexagon center shape...and then repeat for your border fabric if you like! Or...just use the stars, repeated...and no hexagon center blocks. Versatility! 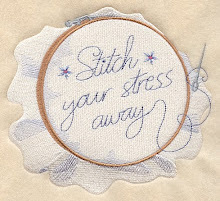 The Fiesta Flowers can be done as traditional applique or as fusible applique pieces, depending on what technique you like the best.